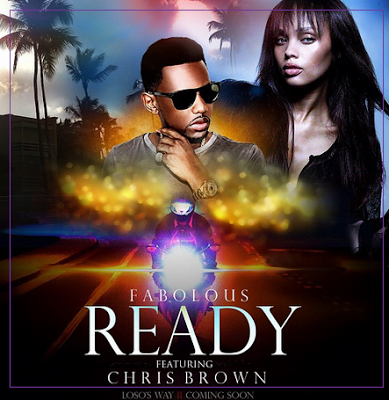 KayKiSpeaks.com: New Music- Fabolous ft. Chris Brown- Ready! The full record won't be released until later but in the meantime, you can get a sneak listen at what to expect from these two below. Grown folks music in a nutshell. Chris is fresh off of his European leg of the Carpe Diem tour and lots of promo for his Black Pyramid clothing line. He's set to be releasing a new album already this year. Fab fans are excited to have some new music from him. He's easily one of the most underrated rappers in the game. His next project Losos Way II is coming soon! Check out some of Ready below!